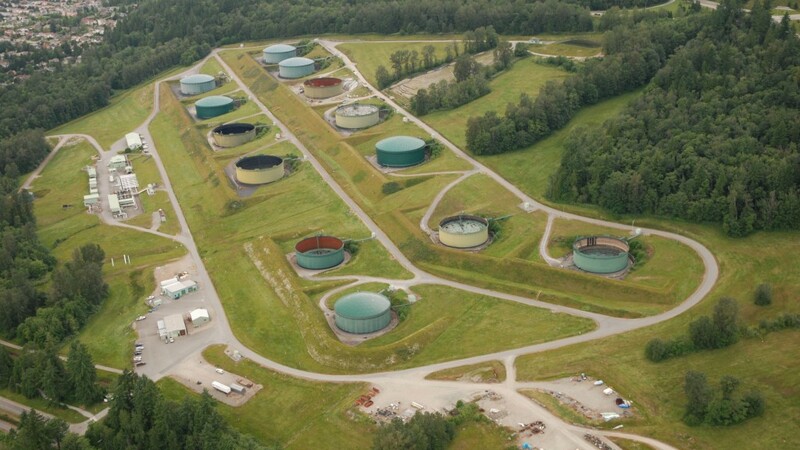 The result of a combined lawsuit involving First Nations groups, cities and others opposed to the expansion of the pipeline through British Columbia, the Court of Appeals decision found that the National Energy Board did not adequately consult First Nations during the approvals process. It also found that not enough consideration had been given to concerns regarding the impact of increased tanker traffic on marine mammals on the B.C. coast. Federal Finance Minister Bill Morneau told reporters that the government was reviewing the decision, but that he expected to continue to push forward on the project. Morneau stated that the Liberal government inherited a flawed review process, and that the government needs to ensure the project proceeds in the right manner. In response to the decision, Alberta Premier Rachel Notley declared that her province will withdraw from the federal climate plan until Trans Mountain moves forward. "The combined result of the actions taken by the Harper government, the current federal government, the National Energy Board and the Federal Court of Appeal means that the current state of affairs in Canada is such that building a pipeline to tidewater is practically impossible," Notley stated. "As a result, our ability to transport our most profitable commodity is subject to the whims of the White House and the U.S. government. Let's not kid ourselves. This is a threat to Canadian sovereignty and Canadian economic security." Notley said that without the jobs and benefits that come from receiving fair value from Canadian resources, the country will be unable to transition to a lower carbon economy and build a better society. "I spoke to the Prime Minister and told him that Ottawa must take the following actions. First, the federal government must immediately launch an appeal to the Supreme Court of Canada. Even more importantly, Ottawa must immediately recall an emergency session of Parliament to assert its authority and fix the NEB process as it relates to this project to make it clear that marine matters have been and will be dealt in a different forum," Notley said. "Then Ottawa needs to roll up its sleeves and continue its work to protect our coast and improve consultation and accommodation relating to Indigenous peoples in the way they deserve. Our sovereignty and our economic security depend on it. If the federal government acts boldly and gives this crisis the attention it deserves, construction can restart early in the new year. This needs to happen. Because today's decision by the courts should put fear in the heart of any government or investor who wants to export non-renewable resources directly from Canada - including, I might say, LNG on the west coast. We cannot accept - no one in Canada should accept - that the only way to sell Canada's resources is through the U.S. No other country on earth would accept this and Canada shouldn't either, especially when we are doing it to ourselves. It is ridiculous." B.C. Premier John Horgan, whose government has opposed the Trans Mountain Expansion, praised the ruling. "This case has been led by First Nations asserting their rights. We joined the case to defend British Columbia's interests, and to highlight the risks to the province's environment and economy. Many British Columbians have been saying that this project would create serious risks to our coast. Today, the court has validated those concerns," he said. "The court has found that consultation with First Nations was inadequate, and that the process failed to consider the risks of marine tanker traffic. These are very serious issues for the federal government to address."